Marvin Menzies is fine with the fact that he wasn’t UNLV’s first, or second, or even third choice to replace Dave Rice as head coach and had even been passed over as recently as two weeks ago for Chris Beard, who then bolted for his “dream job” at Texas Tech. But he wasn’t complaining after the Nevada Board of Regents voted 12-1 to make him the 13th full-time coach in Runnin’ Rebel history on Friday morning. Menzies spent one year at UNLV as an assistant for Lon Kruger (2004-05) before leaving for a two-year stint under Rick Pitino at Louisville that he parlayed into the head coaching job at New Mexico State. He posted a 198-111 record and five trips to the NCAA Tournament in nine seasons with the Aggies. 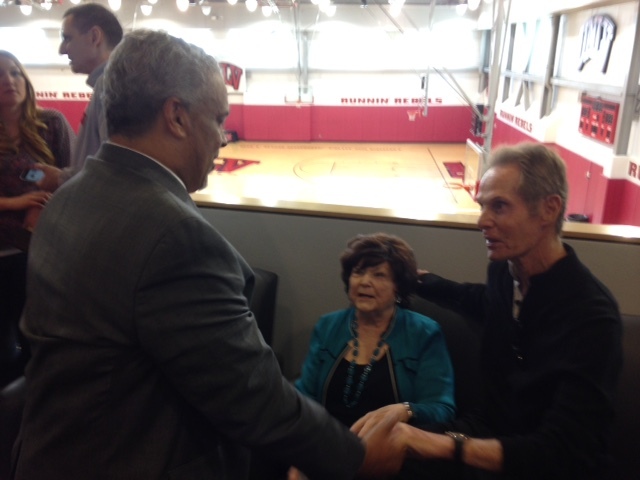 “I’m no John Wooden but he wasn’t (UCLA’s) first choice either,” Menzies said. 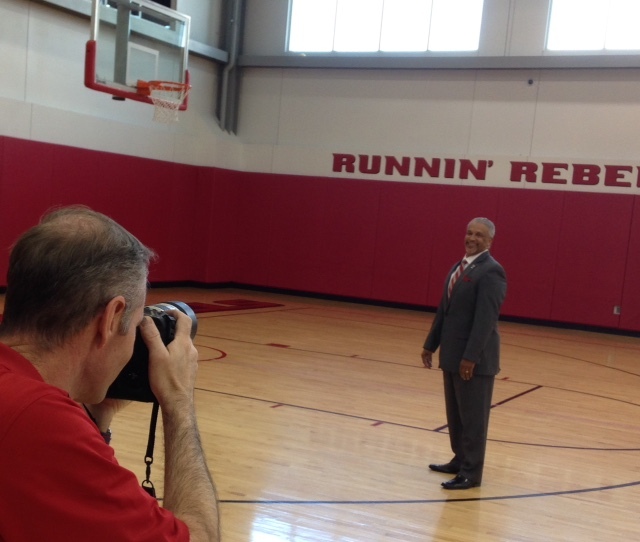 Menzies makes history in becoming the UNLV’s first African-American men’s head basketball coach. Menzies, who said his goal is to implement the same kind of pressing, up-tempo style he learned under Pitino at Louisville, has a big month ahead him as he must try and replenish a roster that currently has just four scholarship players: junior forward Dwayne Morgan, sophomore guard Jalen Poyser, walk-on guard Austin Starr and junior forward Tyrell Green, a junior college transfer who redshirted last season. In that regard, Menzies announced the hiring of Providence assistant Andre LaFleur, who previously spent 10 years as an assistant at UConn under Jim Calhoun before leaving for the Friars five years ago. “A home run hire,” Menzies said noting LaFleur’s strong east coast recruiting ties, not to mention two national championship rings. So what kind of timetable does Menzies have for getting UNLV back to the NCAA Tournament for the first time since 2013?